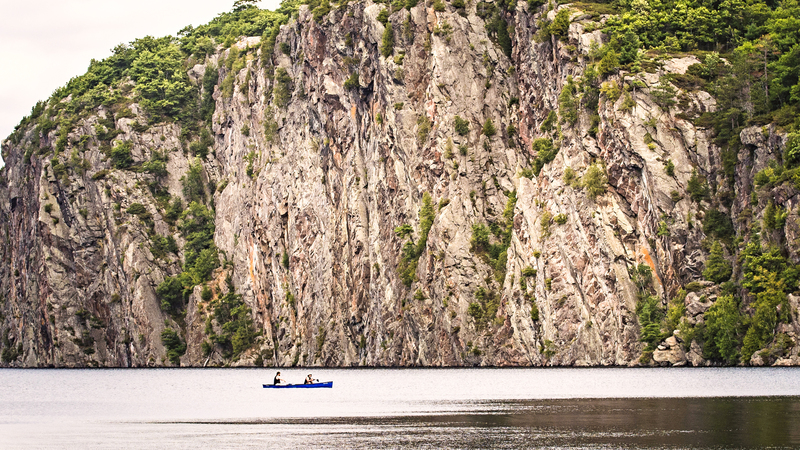 Not too far away from us is a gem of an Ontario Provincial Park called Bon Echo. 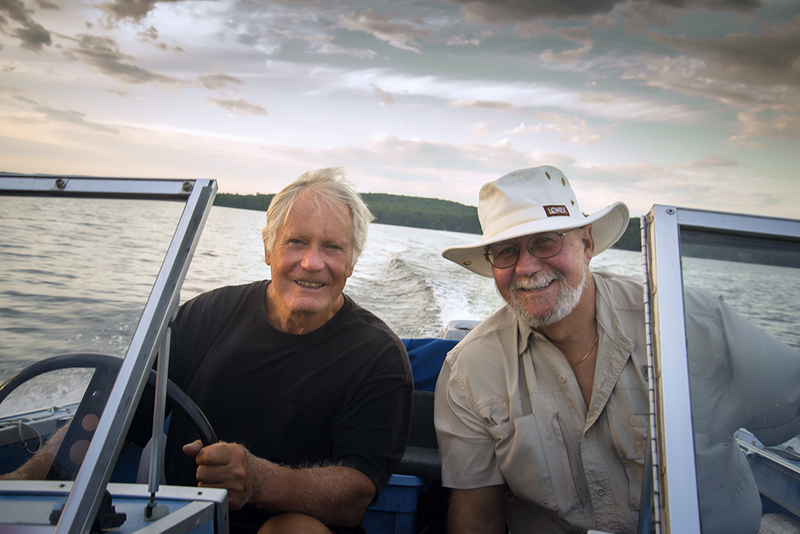 We headed that way recently to visit some friends who have a cottage on Upper Mazinaw Lake, right next to the park. 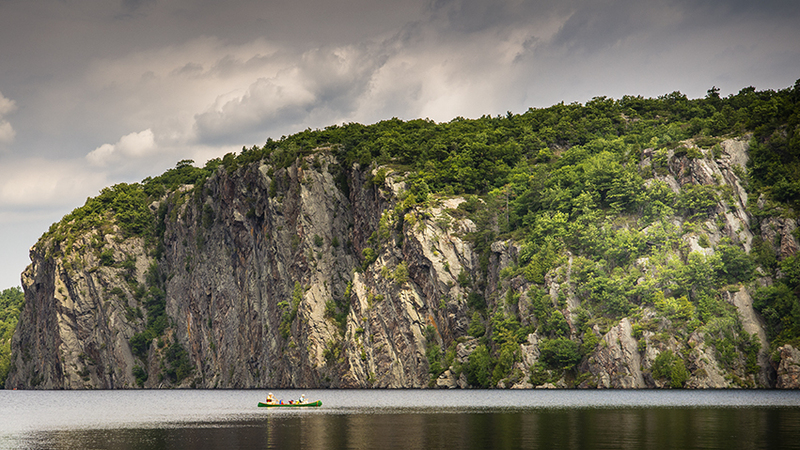 The southeastern shore of the lake features the massive 100 m (330 ft) high Mazinaw Rock, an escarpment rising out of the water, adorned with some 260 Aboriginal pictographs, the largest collection in Canada. I had heard of these and was quite excited to have the chance to see them for myself. The cottage can be reached only by boat so we arranged a time to meet and be picked up at the dock. Our host was kind enough to take us for an up-close tour of the Rock by boat, which is the only way you can really see the pictographs well. The rock art paintings are spread out over 65 rock faces along a 2.5 metre stretch of the cliff face and the pictographs are extremely complex and abstract. 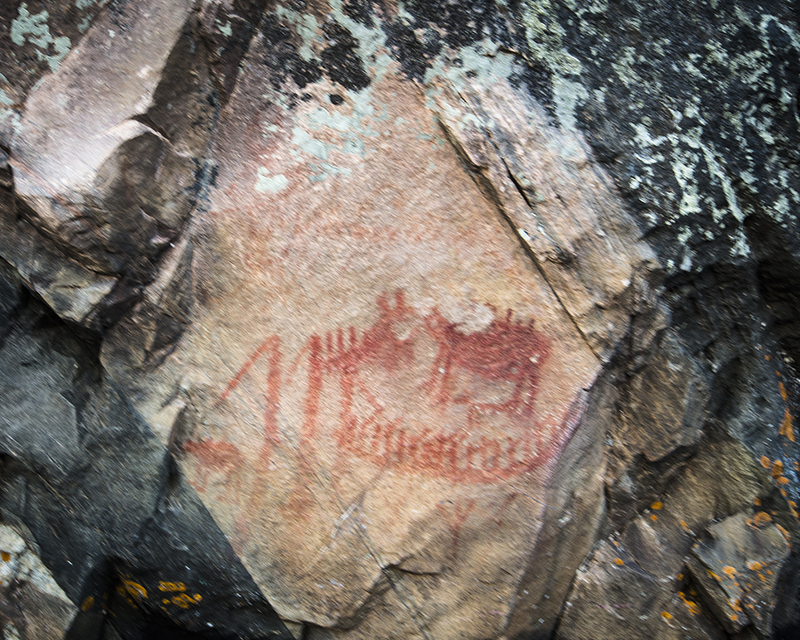 The Mazinaw pictographs were designated a national historic site of Canada in 1982 and have been researched since 1895. This is the largest rock art site on the southern Canadian Shield and the only major pictograph site in southern Ontario. Pictographs have also been found in northern Ontario. At 145 metres deep (476 feet) this lake is the second deepest in the province and the Rock goes down 100 metres into the lake. The whole area is wonderful for canoeing, kayaking, camping, hiking, climbing and all manner of outdoor activities. The park even has yurts for people who want a slightly more comfy camping experience. It seems inexplicable that there are trees growing on the side of the Rock, but some of them are said to be 1,000 years old. 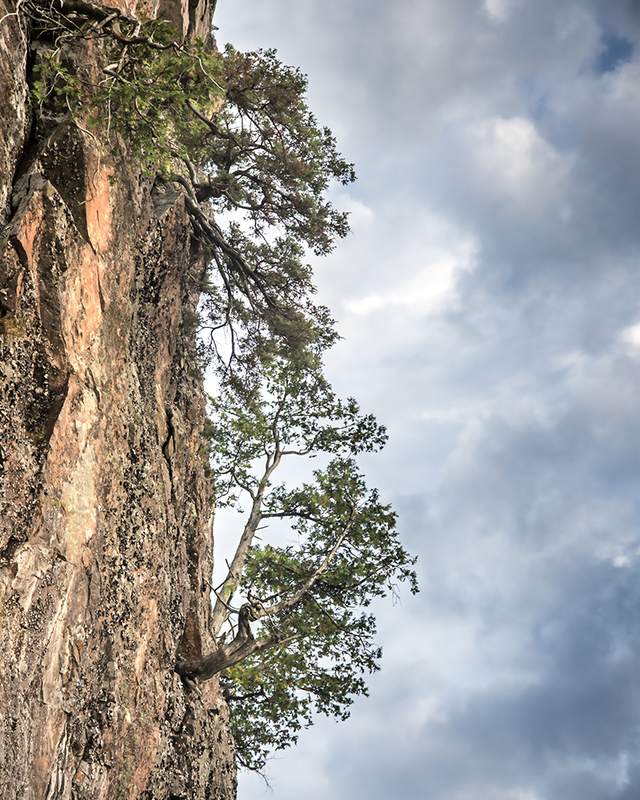 Bon Echo is French for “good echo.” The rock is responsible for the large echo that is unmistakable during thunderstorms and fireworks displays. Amazing images, Sherry. I must go there now! Incredible images of an amazing place! I still can’t get over those trees growing out of those cliffs! Hi Sherry! In late July, my family spent a glorious weekend camping at Bon Echo – so it was lovely to see recall those memories via your post! Thanks! What an amazing, intriguing and beautiful place! A wonderful adventure Sherry, thanks for sharing! Pictographs are SO cool, aren’t they? Truly so unique, and so beautiful, Sherry! Isn’t it just amazing how trees can grow like this, I know I am always amazed. I use to look at these when I was in CA and think how do you survive but they do. Just lovely Sherry. Staggering Sherry, to see that towering up must be a sight to see and to get close enough to see the pictographs a treat indeed. That is otherworldly beautiful! How nice to have friends there. Your blog header photo is very cool too! What a great day that must have been …so many beautiful photo’s…Very Nice of your friend to take you around that massive rock…. Your stories are always so interesting…Have a lovely Sunday Sherry.